Click here to link to our online catalogue or to log in to your library account. Our collection consists of over 10,000 books and magazine titles. 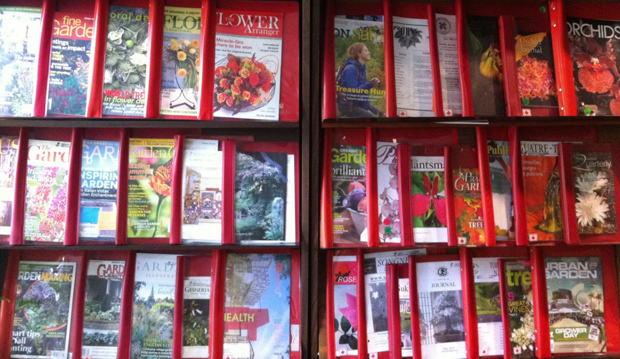 We have resources to suit every interest and skill level from the novice to the Master Gardener. 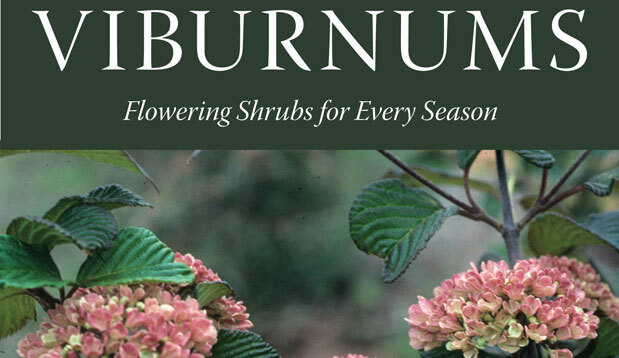 From flower arranging to gardening to plant taxonomy – we can help you find it! 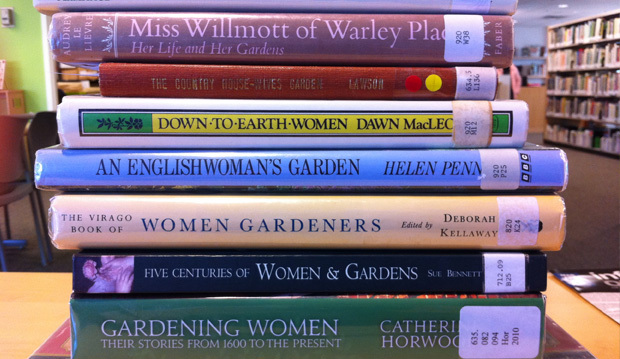 Only current Garden and Book Lovers members enjoy borrowing privileges, but everyone is welcome to browse and use our collection in the Library. We have comfortable seating, great views of the Pollinator Garden and urban beehives, and four public computers for all to enjoy. A Book Lovers membership is only $10 for a full year, with the proceeds directly supporting your Library in the Garden. We are open to everyone and would love to show you our Library! We invite you to come and visit us. Our friendly volunteers can help you find books and resources on your subject of interest. Access the Internet or create new works from our two Microsoft Office equipped public workstations. Visit our Kid’s Corner! Children’s books and a kid-sized table and chairs for activities with free colouring pages! Free storytime every Monday at 11:15 a.m. with nature-themed stories and activities. No need to sign up – just drop in! Printing and photocopying are available for $0.20/page for black & white and $1/page for colour. 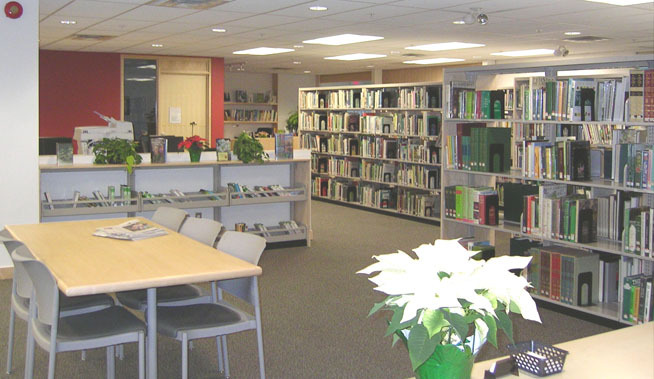 The Library is open weekdays from 10 a.m. until 4 p.m. and Saturday and Sunday from noon until 4. We have a robust and growing collection of books about herbs and their uses! Thank you to the Toronto Herb Society for their generous grant support! Love orchids? The Southern Ontario Orchid Society collection of books and journals is available to the general public. Some items are for in-library use only. 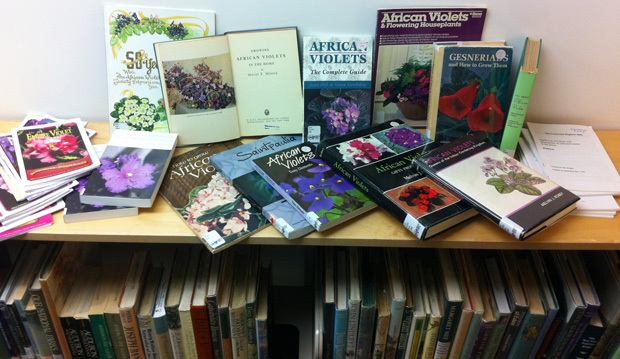 Explore the Toronto African Violet Society’s collection of books and magazines! Click here for the library catalogue and to log in to your library account. Weekends, 12 noon to 4 p.m.
Got a question? We’re here to help you answer it! On Tuesday October 23, we celebrated the launch of a new special collection within the Weston Family Library: The Toronto African Violet Society (TAVS) Collection…. In my relatively short time as TBG’s Head Librarian, I’ve observed that an often overlooked area of the collection is our diverse assortment of magazines and journals….